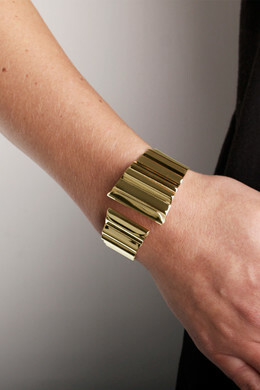 Modern pleated statement bracelet in a shiny gold toned finish. 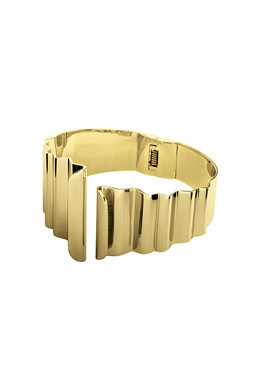 The bracelet will give your outfit an extra touch of cool. With spring closure. - The bracelet is designed in hand polished stainless steel and hook or post in surgical steel.